The traditional wine growing of the Rotaliana plain and the rich historical heritage of Trento. The M. Bondone nature reserve is also very interesting. 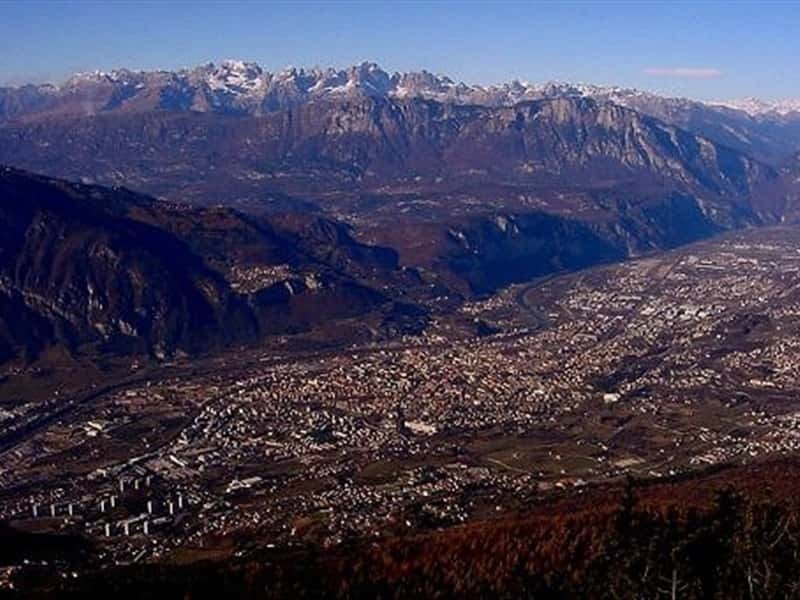 This area in the Valle dell´Adige comprises the town Trento, Monte Bondone and the Rotaliana plain and features a wide valley, surrounded by mountains. Due to its plains and the river, the Valle dell´Adige has always been a natural connecting route between north and south. Trento has maintained practically unchanged its tradition of fine food that over time has come to also include dishes of Austrian and German origin: simple country food like smacafam, which is the main attraction during the Trento Carnival, dishes with apples, which are abundant in the region, ricotta gnocchi, potato polenta and strudel can be tried. Along with all the excellent wines produced in the region, Marzemino D.O.C., in particular, deserves a special mention. This destination web page has been visited 103,062 times.